← Happy Birthday, Jane Austen! Readers have been starting to ask me if I’m still writing. The answer is YES. I’m overdue for publishing a book, since I tend to publish about one a year, and my last one, Conceit & Concealment, came out in June 2017. Never fear, though – I’ll have TWO books coming soon! Last winter I got stuck in how to handle a plot issue in the book I was writing, a Pride & Prejudice crossover with Shakespearean fantasy. I put it on the back burner until my muse saw fit to hand me the answer and moved ahead to the next book, a Pride & Prejudice variation set primarily in Scotland. Since then I’ve been going back and forth between them. The fantasy book needs three new scenes to be done, and it’s twice the length of my average book, weighing in at a hefty 165,000 words. The Scotland book is about 80% done, so the end is in sight. Here’s a taste of the Scotland book to whet your appetite. It begins with Darcy and Bingley returning to Netherfield, but in this variation, Elizabeth did not go to Pemberley, so Darcy hasn’t seen her since Hunsford. This isn’t a final draft, but I hope you’ll enjoy it. Darcy shook his head. “Your chances will be better if you go on your own. They never liked me here, although they were always polite about it.” And if he had to hear Bingley’s chatter through yet another outing, he might go mad. Something had to be done. This return to Netherfield was supposed to resolve Darcy’s doubts one way or another. Either Elizabeth had decided to forgive him after reading the letter he had written her after she refused his miserable excuse for a proposal of marriage, or she had not. Even if she still disliked him, she would still be polite to him, and he would be able to be in the same room with her. That might be enough to give him a reprieve from the gnawing emptiness he had felt inside ever since that night in Hunsford. Returning to London had not given him any relief, nor had going to Pemberley with Georgiana and the Bingleys. This return to Netherfield was his last hope. But it was a rapidly fading hope. If Elizabeth had forgiven him, he would not have been turned away at the door of Longbourn. The first two times the Bennets might have truly been out, but today he had seen Mrs. Bennet’s face at one of the windows. Tomorrow he would put his final plan into effect. He knew where Elizabeth’s favorite walks were, and he would haunt them until he found her. Then he would ask her directly about what he had said in his letter. Even if the answer was that she still hated him, it would be better than not knowing. He could put this chapter of his life behind him and try to find something, anything that could give him a purpose and distract him from the past. Two hours later, Bingley strode into the billiard room and slammed the door behind him, his eyes flashing with anger. “How could you?” he demanded. This was quite unlike the friend Darcy had known for years. Had Bingley caught whatever disease had affected the minds of the people of Meryton? “How could I do what?” he asked cautiously. “I have not the least idea.” His breath caught in his throat. Jane Bennet always thought the best of everyone. What could she hold against him? “Unfortunately, Miss Elizabeth can offer no proof of that, as she went to bed before Mr. and Mrs. Collins returned, having given strict orders not be disturbed. But that does not matter. You went late at night for an assignation with a young lady whom we all know you admired. 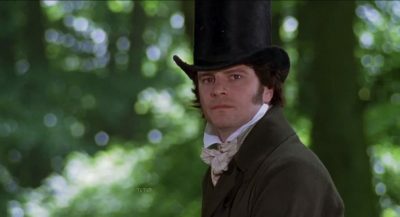 Surely you do not expect me to believe your purpose was innocent!” Perspiration began to appear on Bingley’s brow. “How do you account, then, for the fact that Miss Elizabeth accepted ruination without any mention of your proposal or asking you to redeem her reputation? How do you explain that?” Bingley’s nostrils flared. “Bingley, on my honor as a gentleman, I have told you the truth.” But he could not deny he had hidden his motivation. “I had no intention of harming anyone, least of all Miss Elizabeth. I never touched her.” The words sounded hollow. Even if he had done nothing improper, Elizabeth and her family were suffering because of him. “A room at the inn?” Smithers repeated. “Of course in London. That is where Darcy House is. I will meet you later at the inn.” Devil take it. This was a terrible time to have a half-trained valet. If his old valet had still been with him, Darcy could have had him ask about Elizabeth among the Netherfield servants. He would have to do without that knowledge now. He strode out of the room and down the stairs, averting his eyes as he passed the ballroom where he had danced with Elizabeth. It must be a painful memory for her now. His interest in her had ruined her reputation and her life. At the front door he took his hat and gloves from the butler. “Kindly inform Mr. Bingley I have left. My valet is packing my trunks and will send them off later.” He pulled his gloves on so forcefully that he felt a seam give way. “Very good, sir.” The butler sounded emotionless as he held the door open. Bingley stood in the doorway to the dining room watching him with no sign of softening on his face. Darcy did not acknowledge him. Instead he strode towards the stable without looking back. Never before had a friend challenged his word of honor. That Bingley, perhaps the closest of his friends, should do so left him with a sick feeling in the pit of his stomach, but he could deal with Bingley after the matter of Elizabeth was settled. He mounted and rode towards Longbourn, this time noticing as he passed through Meryton how many acquaintances averted their eyes from him. It had no doubt been happening since his arrival, but he had not paid attention since he had no desire to speak to them. Now it was clear he was being cut. How dare they sit in judgment on him when he was blameless, or close enough to make no difference? Elizabeth had done this. By choosing to leave rather than to contest the gossip, she destroyed his good name. Not that the local gentry had ever liked him, but this was worse. Would word of his alleged crimes eventually reach the ton in London? It probably did not matter. Trying to seduce young ladies was expected behavior for gentlemen of the ton, but the people of Meryton were loyal to Elizabeth. The lane to Longbourn looked just as it had that morning when he and Bingley had attempted to call on the Bennets, except now he knew that everyone in the house must despise him. A sour taste puckered his mouth as he knocked on the door. This was not going to be pleasant interview. The manservant held the card by his fingertips as if it were covered with some distasteful substance. “I will see if he is at home.” Instead of inviting Darcy to sit in the hall, he closed the door in Darcy’s face, leaving him to cool his heels on the doorstep. Clearly he was not welcome at Longbourn. Darcy placed his booted foot in the door before he could close it. “Be so kind as to inquire when Mr. Bennet will be at home,” he said evenly. The servant came back more quickly this time. “I have been told to inform you that no one in this house will ever be at home for you.” His voice quavered as he spoke through the opening above Darcy’s foot. Enough was enough. He was trying to help them, dammit. “Stand out of my way, old man. I have no desire to hurt you.” To hurt Elizabeth’s father, yes, but not an innocent servant. Fortunately, the man obeyed, scurrying backwards until he could push past him. Darcy paused in the entrance hall, trying to remember the layout. The drawing room was to the right. He remembered that. Mr. Bennet’s library had been straight ahead, had it not? He would find it somehow. His feet must have remembered the way, since the first door he chose was the correct one. “There is no possible resolution,” Mr. Bennet said coldly. “Good day, Mr. Darcy. The man was irrational. There was no other way to explain it. “You are the one who is harming Miss Elizabeth and your entire family with that attitude,” Darcy said icily. “I can only hope you will come to your senses. Pray send me word when you do.” Before he said anything worse, Darcy stalked out of the library, half blind with rage, and nearly ran into Jane Bennet, who clearly been drawn there by the raised voices. Mrs. Bennet stood a few feet behind her, fanning herself frantically. Jane Bennet nodded dumbly, her mouth hanging open with shock. “I thank you.” As the old servant was still cowering by the door, Darcy let himself out. Seething, he rode to the end of the lane where it met the main road. The last thing he wanted to do was to go to an uncomfortable inn for the night. When he had made the plan, he had assumed Mr. Bennet would accept his proposal and they would need to meet further to discuss the settlement. Now there was no reason to stay. He would go back to London tonight, where he could nurse his wounds in privacy and decide what to do next. What do you think? Any guesses why Mr. Bennet is behaving out of character? Eventually I’ll be posting more chapters, so stay tuned! And here’s a visual hint to what Elizabeth is up to in the meantime. Ooo, so tantalising! I guess Elizabeth is already in Scotland, judging by the picture. Now I’m trying to remember which castle that is. I know I’ve seen it on a visit there in the past. As to Mr. Bennet’s behaviour, there’s obviously other factors at play here that we don’t yet understand, otherwise why would he refuse the chance for Darcy to make things right? Has Lydia gone off to Brighton and eloped as per canon? Intriguing! Got it! We were last in that area 11 years ago on our way to Skye to catch a ferry to the Outer Hebrides. Our son had never seen Loch Ness, so we made a side trip on the journey north to do a little Nessie spotting! Didn’t go into the castle that time as we had a deadline for our ferry but had been on a previous visit before our son came along. Can’t wait for the book. Soon please. How to find out what has been said about him? My thought is for Darcy to go to the local tavern, with a couple burly footmen, and put a guinea under a glass on the bar. Then issue a challenge for anyone to tell him to his face what gossip is being passed around about him and Elizabeth. Any takers get the guinea. It might take a dozen guineas to get all the info he wants. Normally his valet would ferret out the info, but not this time. Then, having nothing to lose, would he say to the townspeople what he said to Mr. Bennet or even more? Anyone willing to listen gets a shilling. Money talks. Or, stand on a soap box in the town square – like in Speakers Corner of Hyde Park even today. What does Charlotte at Hunsford know? OK, OK I’m hooked already!! Loved it! Want more! Love all your books! Thank you! And there’ll be lots more to come. That is a wonderful excerpt. I can hardly wait to read more!!! Do you have a title or blurb for this book? I would love to know what to watch for. Will you also post some of the fantasy? Thanks! No title or blurb yet, or rather I had three titles and found they were all in use already. The fantasy will be Mr. Darcy’s Enchantment, and I’ll definitely be posting some of that as well. What a mess Darcy finds himself in and I can’t wait to find out how you bring him to Scotland for their adventure. I’m really curious to know what happened at Hunsford after she got his letter. Did Lady Cat cause some mischief. I assume Lizzy read the letter like in canon, but JAFF authors can take whatever liberties they like. Looking forward to more. Very interesting,especially the social shunning and break with Bingley.Always love your books, Abigail, and am looking forward to reading more of this Scottish adventure! Thanks! Darcy’s going to have a rough time with losing Bingley’s friendship at the same time as being hit by the news about Elizabeth. I haven’t been to Urquhart Castle since I was a teenager, but it made a big impression on me, and I’m so glad you had a chance to see it. Elizabeth is going to have some adventures in all that wild countryside! It has the darker ambiance that I love too. Will be eagerly awaiting the release of this book. In some ways, it’s surprising this scenario didn’t happen, since Jane Austen has a servant let Darcy into the parsonage but he apparently lets himself out and shuts the door behind him. What must that servant have thought? WOW! Can’t wait for more!! My sister and I love all of your books!! Thanks! So nice to hear that sisters read them together. Wow–I can’t wait to read the next excerpt! This one has started with a bang!! I would almost feel sorry for Darcy if not for his overweening pride at the moment. Yes, he has reason to be upset, but he doesn’t yet know the extent of the gossip nor the shame the Bennets are experiencing because of his actions. But who would have spread such a story about Elizabeth and Darcy in the first place? Who would have known about the letter? My guess is that Mr. Collins saw the exchange, told Lady Catherine and his mother-in-law, and Lady Lucas then spread the tale all over Meryton. I guess we’ll find out. Oh, what a mess! I’ve never seen this particular spin on the Hunsford events! You have created quite a few unreasonable Mr. Bennet versions so I don’t hazard any guesses about his behaviour. It surely doesn’t seem to me all about truly caring for Elizabeth. Yes, Mr. Bennet is not primarily concerned about Elizabeth at this point, but rather with his favorite goal, which is his own comfort. The odd thing is that normally he’d make Elizabeth do the heavy work of refusing Darcy, but he does it himself instead. It seems very un-elizabeth for her to have allowed her isters reputations to suffer in this way. I am dying to know why she (or her father) didnt contact Darcy and arrange a marriage. She had to know he would have done it if told. Oh my, this looks like another winner Abigail. I have all your other books so look forward to 2 new ones. I too think Lady Catherine is somehow to blame for this and if so I hope Darcy finds out and punishes her accordingly. I also hope he finds Elizabeth soon and can put matters right. Keep us updated. I’m not going to speculate, but believe me I am really looking forward to it’s premiere. It’s already looking fantastic. Looks like lots of angst, which just means the joy in the end is so much more beautiful. Thanks! This one is going to be pretty angsty for Darcy in particular. Was just at Urquhart and Loch Lomond. Went to Luss. My ancestors are Colquhouns. Laird Malcolm Colquhoun still is in residence there. Can’t wait for new books. We went to Lyme Park, Chatsworth, and Bath, too. And Winchester to see Jane’s tomb. ( By the way, I hate math. Please ditch captcha. Sounds like a great trip! The site gets drowned in spam if I disable captcha, but I’ve changed it so it’s now only single digit addition. Hope that helps. I’m hooked and eagerly anticipating the release of this one. I have lots of questions so can hardly wait to find their answers. Thanks for sharing this chapter! Thanks, Laurie! I hope you enjoyed The Darcys of Derbyshire. That’s a favorite of mine. Wow, this is so great!!!! I don’t know how I missed seeing this. You are the first author I read JAFF and your are responsible for my addiction. I daren’t tell my husband how many books Ii have. Thanks goodness for Free Kindle. Wonderful!! Can’t wait to read what happens next. Thank you! Hopefully I’ll have more soon. Well! What a hook! An angry Bingley with a spine and a spiteful Mr. Bennet, plus a heaping mystery of contradictions… I love it! Thanks, MeriLyn! This one is full of secrets and contradictions. Do you have a link to more chapters? This is the only chapter I’ve posted so far, but when there are more, I’ll link them together. Thanks for your interest! Abigail, you had me at the first Bingley’s line! Oh my goodness I can’t wait. I absolutely love your books and its exciting to know another is so close. I just hope I can find the patience to wait. Bring Elizabeth to Scotland will be an exciting twist and am anxious to see how it all plays out. Can’t wait to read the next chapter! Hope you post it soon. Love your books. OMG! Elizabeth & Darcy and Scotland, my two favourite things in the world! I can’t wait for this to be published so I can stay up all night devouring it the day it arrives just like I have all your others! Glad you like the combo! It’s fun to write. Are there any updates on when this will be released ? I just finished reading Mr. Darcy’s Enchantment and am dying for a continuation for this Scotland book. Mr. Darcy’s Enchantment was absolutely wonderful!! So glad you enjoyed Mr. Darcy’s Enchantment!! I’d estimate April as a publication date, but I’ll probably start posting more chapters sooner than that. The story is coming along well! Intriguing! Another Abigail Reynolds twist in the tale that I can’t wait to read. Great beginning- and I know the rest is worth waiting for! I am way behind in reading e-mailed blogs due to being a month in the hospital a while back and just never catching up on all the e-mails. Loved this chapter…can’t wait to read the book. Thanks for sharing. I won’t attempt to make any guesses here about motives on Mr. Bennet’s part.